DECATUR, Ala. — United Launch Alliance (ULA) invited media to their 1.6 million-square-foot (148,645 m2) rocket factory in northern Alabama to get a look at the Interim Cryogenic Propulsion Stage (ICPS) flight hardware prior to it being shipped to Florida. SpaceFlight Insider was on hand at this event and had a chance to speak with industry insiders about the progress being made on NASA’s Space Launch System (SLS). Though a significant amount of hardware has been manufactured for Exploration Mission-1 (EM-1) – the first flight of the super-heavy-lift rocket – the SLS is still very much a vehicle waiting to be assembled. However, while large portions of the mammoth rocket have yet to leave the manufacturing floor, progress has been steady and completed flight hardware is beginning to take shape. 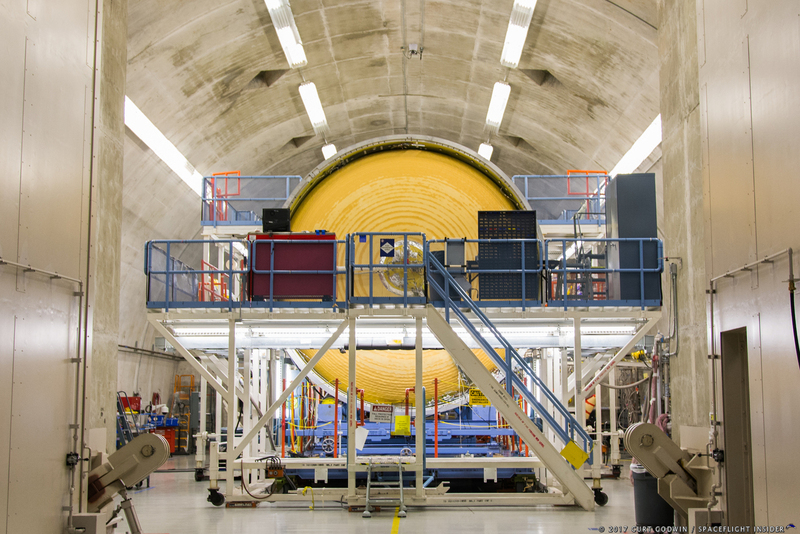 ULA was tapped by Boeing – the prime contractor for SLS’ core stage – to construct a modified Delta Cryogenic Second Stage (DCSS) to support the SLS for its first flight. After delivering a test article of the ICPS to NASA’s Marshall Space Flight Center in 2016, the company is now ready to cross a key milestone in SLS’ construction: the completion of a major propulsion system for the vehicle. The completion of the ICPS is yet another landmark in SLS’ development, though some contend it’s still a drawing-board vehicle. John Shannon, Boeing’s Vice President and General Manager of the SLS Program, disagrees. Shannon also noted that the Boeing team at Michoud is nearly back up to 100 percent after the facility sustained damage from a direct hit by a tornado. Considering the damage sustained by the facility, SpaceFlight Insider was interested in how the flight hardware at Michoud fared in the wake of the tornado and asked Cook the disposition of the pieces already constructed. After noting that no one was killed or seriously injured in the incident, he went on to discuss the hardware itself. “From an assessment of the flight hardware, we haven’t seen anything that has sustained any type of major damage,” Cook told SpaceFlight Insider. Beyond that, there were some minor dings and scratches, and some buildings are still without power. Cook hopes to have a complete analysis of the state of Michoud in the next 2–3 weeks. Though the facility is designed to support a flight cadence of 1–2 launches per year, Boeing’s Shannon told SpaceFlight Insider he holds a more optimistic view. 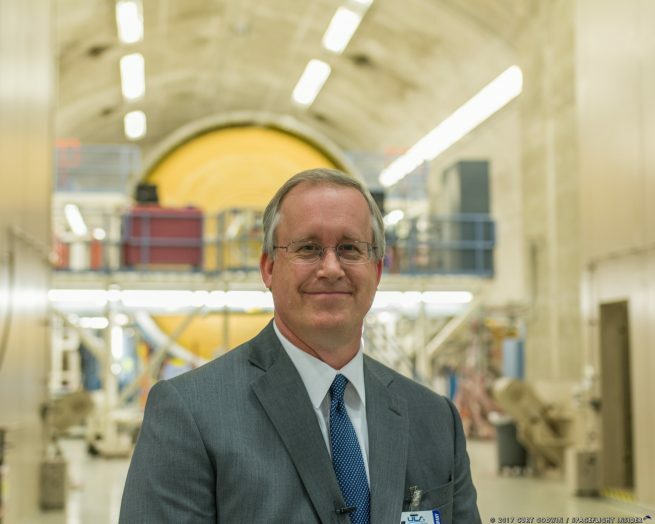 Recently, acting NASA Administrator Robert Lightfoot announced that he was directing the agency to study the feasibility of converting EM-1 to a crewed mission. Until a firm plan comes to light, though, the agency and its partners will continue to work toward a “late 2018” date for the uncrewed launch of EM-1. Whether or not EM-1 carries crew is not as relevant to Astronaut Butch Wilmore as what the rocket represents. He sees the SLS as the vehicle needed to advance human spaceflight beyond low-Earth orbit. “Right over here in this test cell is the start of taking humans to deep space,” stated Wilmore. If NASA has anything to say about it, that may be sooner than many had anticipated.